9" x 6-1/2" x 1-3/4", 1-4/5 quart capacity. 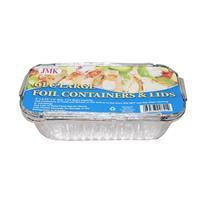 Use containers to cook & reheat on the grill or in the oven (do not use lids when cooking or reheating). Use lids to keep food hot for hour. 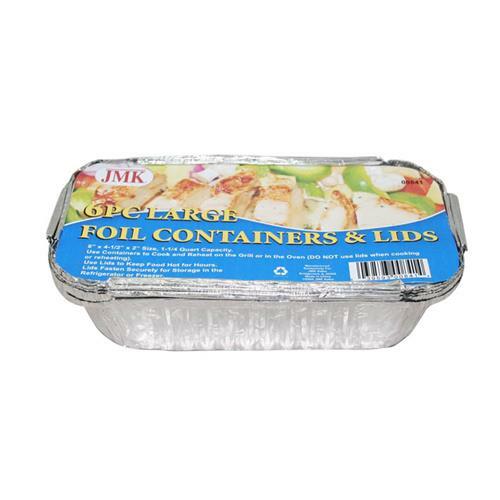 Lids fatsen securely for storage in the refrigerator or freezer. 9.06" x 16.14" x 15.75"